Carrie P. Meek, of Miami, In 1992 she became the first black woman elected to Congress from Florida. 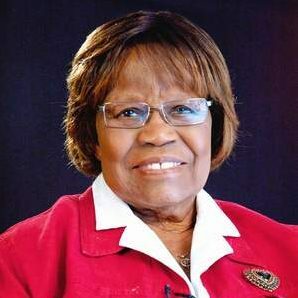 Born in Tallahassee, she graduated from Florida A&M University in 1946 and was chosen to its Sports Hall of Fame. She earned a master’s degree at the University of Michigan in 1948 and later did graduate work at the University of Indiana and Florida Atlantic University. After a distinguished career in education, Carrie Meek was elected to the Florida House in 1979. She served there until 1982 when she became the first African-American woman in the state Senate. During her tenure, Meek sponsored legislation creating the Florida Commission on the Status of Women. A tireless advocate for gender and racial equality, Carrie Meek has received dozens of honors.